Question: My car was hit while parked and it must be towed, as it is not drivable right now. I filed a claim against the person who caused the accident and the insurance company sent an estimator who wrote a report. The insurance company sent me a check for cost of repairs that the estimator wrote. The problem is that the estimate seems to be on the low side. We both have GEICO insurance and I also have collision coverage. When I get my car’s bodywork repaired, should I use the shop that was recommended by the insurance company so that the repairs are guaranteed, or should I pick an independent shop to do the repairs that might be within the budget? There are actually two things happening here that need to be addressed, both of which are common misconceptions. First of all, your insurance company does not employ auto body repair estimators. They employ and send out claims adjusters. The role of the claims adjuster is to survey the damage and determine what the insurance company will do to reimburse you for the repairs. They represent the best interest of their employer (in this case GEICO) and their job is to determine whether they will fix or replace the vehicle. In performing this evaluation, the claims adjuster might create a preliminary estimate, as he or she will need it for the basis of determining if the car is repairable or if it is a total loss. The claims adjuster is trained to estimate the cost to repair damage to a certain extent, however they do not create a budget for the repair. The claims adjuster will also note any prior damage and will discount the repair accordingly if there was any. The claims adjuster will also in some cases act as a liaison between the auto body shop and the Insurance company during the repair. As I said the Insurance company will choose the path of least resistance and the least cost. It is unusual tat they would simply send you a check directly on an inoperable car when you haven’t contracted with an auto body repair shop or even received an estimate from one. Car Insurance Companies Do Not Warranty Auto Body Repairs, Auto Body Shops Do. The second assumption that you have here is that you must use the body shop that your insurance company recommends in order to have your repair guaranteed or warrantied by the insurance company. I have said it before and I’ll say it again, your car insurance company does not warranty any car repair. 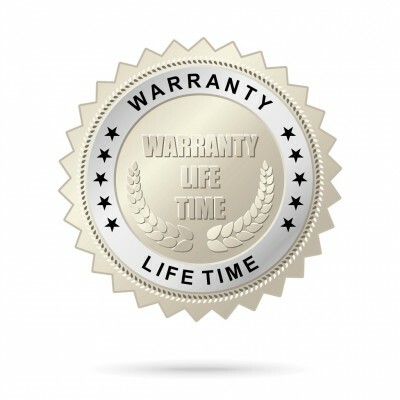 The auto body repair shop that performed the work is the one who warranties the repair. So let’s say that you had work done a year ago to your car under an insurance claim, and now the paint is peeling. Let’s also assume that you used the Insurance company’s recommended or “preferred” auto body shop. If you were to call your insurance company about the peeling paint, they will tell you to bring the car in to the body shop and discuss the issue with them. It is up to the auto body shop to warranty the repair work as stated in their written guarantee. That is why it is important to use auto body shops that will give you a written guaranty of the repair work. Some body shops will warranty their work for the life of the car. What you need to do in this case is to have your car towed to whichever auto body shop that you want to use (and you can use our site to select a great auto body shop near you). Then that body shop will write an estimate AND deal with the claim for you. It will require that you apply the funds you have already received towards the cost of the repair if it exceeds the amount you have received from your insurance company already. If the repair comes in under this amount, you can keep the balance. 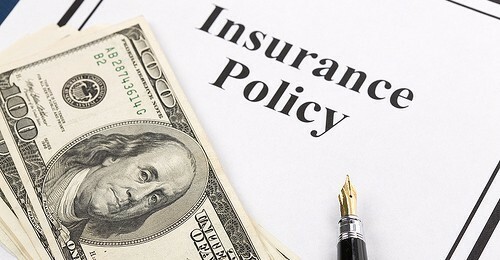 If the repair is more than what you have received already from the insurance company, then the Insurance company will have to pay the difference. This will come in the form of a supplement and will be paid directly to the auto body repair shop. A good auto body shop can take care of all this hassle for you. Body shops learned a long time ago that it was a selling feature to handle all this claims haggling with the insurance companies on behalf of the customers. It can be very confusing to car owners and bad for business to have car owners who are frustrated with their insurance companies having to deal with supplement claims to complete the repair work. Hopefully this will clear up the confusion that you and so many car owners have about the repair claims process. very professional, excellent customer service.. A pleasure to do business with. Ricky went above and beyond to make the process as painless as possible.